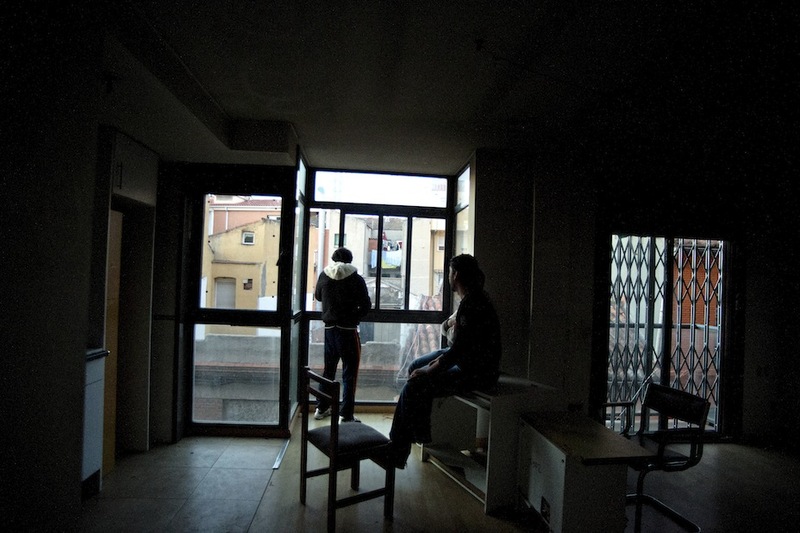 On Sunday the 6th of April The Platform of Affected by the Mortgages (La PAH) of Vallecas district of Madrid recuperated two housing blocks, making them public –alongside with a third previously recuperated building– as common housing projects called Obras Sociales to provide homes for 40 persons. These buildings, and the other similar housing blocks situated around Spain currently housing some 1.049, are property of the banks rescued by the plan of public indebtment and social cuts. In this multilanguage Totuusradio we’ll hear the interviews of Lucía and Beatriz (English), explaining the Spanish housing bubble and the main strategies of the housing movement. We will eavesdrop random conversations inside the recuperated housing block of Argente8 (Spanish) and have a Skype conversation Madrid–Tampere on this topic (Finnish). In between we will hear some Spanish punk, pop and electrocumbia.